​#TheNewOldHome is a hybrid creation by acclaimed Romanian playwright Peca Stefan (Heidelberg Stückemarkt Innovationspreis ’07, Berliner Stückemarkt ’10, ’13), exploring political participation of the elderly in the context of an accelerated European population ageing. The work is based on research conducted by the author in Romania, Germany and Spain. ​78-year-old Romanian woman who has recently moved from her village to a small town. Mrs. D’s secret is that she can see parallel versions of herself inside her TV set. Everybody thinks she’s going insane, except her millenial granddaughter Gina. Mrs’ D’s fate depends on the resolution of the conflicts featuring different possible versions of her life as an elderly woman in present day Romania, Germany, Spain and a distant future version of Europe itself. As she’s helping her grandmother along the way, Gina needs to face her own misconceptions and fears regarding ageing. The concept and text of #TheNewOldHome was created and developed within the project “Ageing Democracies? Political Participation and Cultural Values among the Elderly in Europe” initiated by CCCB (Center of Contemporary Culture Barcelona), with the support of the Open Society Foundation. We recommend bringing a smartphone, earphones and a QR code scanner app. The website www.thenewoldhome.com can only be unlocked by physically coming to the location. Concept, text, and music by Peca Stefan. Space Design by Anda Pop. The complete list of contributing artists available on www.thenewoldhome.com. The website can only be unlocked by physically coming to the location. 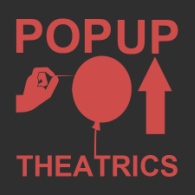 A PopUP Theatrics project. Partners: REPLIKA Educational Theater Center (Bucharest), tak (Theater Aufbau Kreuzberg) (Berlin). Presented with the support of Rumänisches Kulturinstitut Berlin.